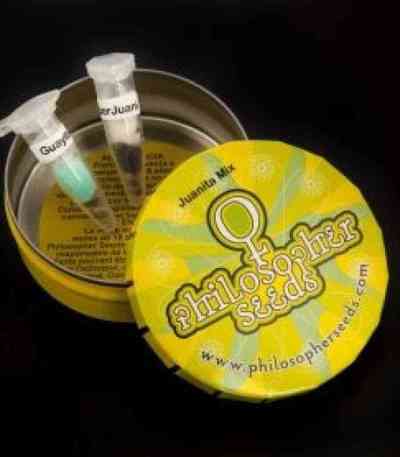 Juanita Mix contains a selection of feminized cannabis seeds of the Philosopher Seeds’ Golo Line. It includes 2 strains in which they’ve used their Juanita la Lagrimosa male, which transmits its particular citric taste and high CBD content to the offspring. These mix has been especially created for therapeutical users. You can easily identify each strain thanks to the corresponding labels.